Beginning December of 2014, EU Regulation N°1169/2011 (Food Information to Consumers, or FIC) will require the ingredient labels of all prepared foods and beverages sold in the European Union to use text formatting to call attention to any allergens the product may contain. The regulation stipulates that bolding, underlining and / or italicizing the text are all acceptable methods of emphasizing the presence of allergens. Most customers I have like the simple bolding method and its certainly the most readable. 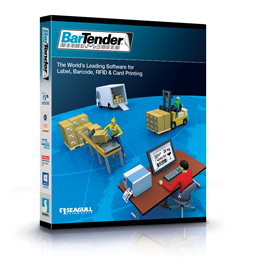 I have many customers that use BarTender® It is the global standard in labeling and barcoding software with the ability to adapt to any regulation or business demand. The latest BarTender 10.1 has a built in word process so by upgrading to this latest version you can go into any labels you have already designed and add / edit the allergens and simply setting the font to BOLD your labels will satisfy the requirements. If you have been using a database like MS EXCEL spreadsheet or MS ACCESS or similar then you can us the very latest version 10.1 Service Release 4 and maintain a separate list of allergens to which you can edit or add to and separately from you existing set up. Then when you select one or more products with print quantities BarTender will check the merged data for any matching allergen words and BOLD them. Includes a customizable list of allergens, allowing easy modification should the regulation be updated. BarTender includes characters for all modern writing systems to help you adapt your products’ labels to the multitude of languages across the European Union and beyond. To get started, download the free BarTender FIC sample label and technical white paper. We are pleased to announce that Service Release 4 of BarTender 10.1 is available immediately. Download here. * 30 day free trial for new customers, existing customer with older BarTender versions please ask for upgrade deal.